If there were a quick and painless way to identify pre-cancerous cells in the mouth of someone you loved, would you want them to try it? What if that person were you? The truth is, as uncomfortable as it may be to even think of the word "cancer," thinking about it, and thus detecting it early, is key. That's why, if you haven't been to the dentist in a while, you should schedule a visit, because while the oral exam that accompanies your cleaning may not be noticeable to you, it's often your earliest line of defense in the detection of oral cancer. Passing certain age thresholds and engaging in certain lifestyle habits can place you at increased risk for oral cancer. ⦁men tend to have higher rates of oral cancers than women. If you experience any of the below symptoms lasting more than 7-10 days, please seek the advice of your doctor. Also, keep in mind that aside from an obviously sore throat, the below symptoms can present themselves in the absence of pain. Look out for changes that can be detected in the lips, inside the cheeks, palate, and gum tissue surrounding your teeth and tongue. If you do not visit the dentist regularly, you could be missing out on the benefits of early cancer detection. 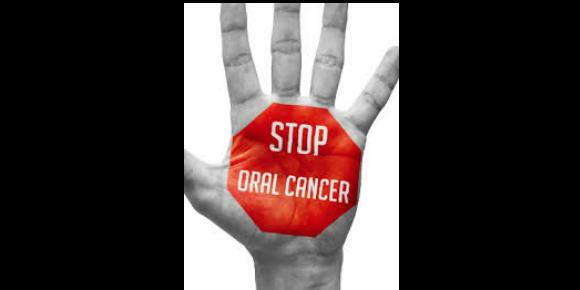 Currently, just over half of all those diagnosed with oral cancer survive more then 5 years- a statistic driven by late diagnosis- so please visit your dentist and get an oral exam at least once a year. If you are considered, "high risk," you should be receiving an oral exam at least every 6 months, if not more frequently. ⦁conduct a self-exam monthly so you can catch any of the symptoms listed above. Use a small hand-held mirror so you can see the back of your mouth and tongue. Oral cancer is serious business. Yet, it can be managed when caught early. So, do the right thing and visit your dentist regularly, and get that screening. Here at Sofferdentistry you will get an oral cancer screening at every cleaning visit.